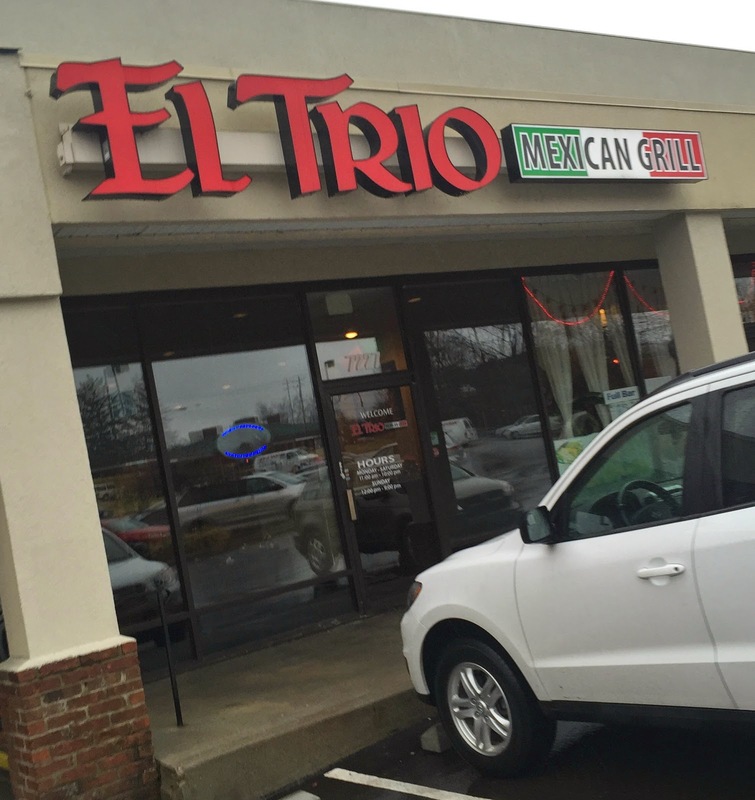 Restaurant Review: El Trio Mexican Grill, Mariemont | The Food Hussy! I have an unhealthy love of Mexican food - but hey - is it unhealthy if I admit it? My friend Kelly & her beau decided I needed to try El Trio Mexican. It's in Mariemont in the strip mall near the FlipDaddys. 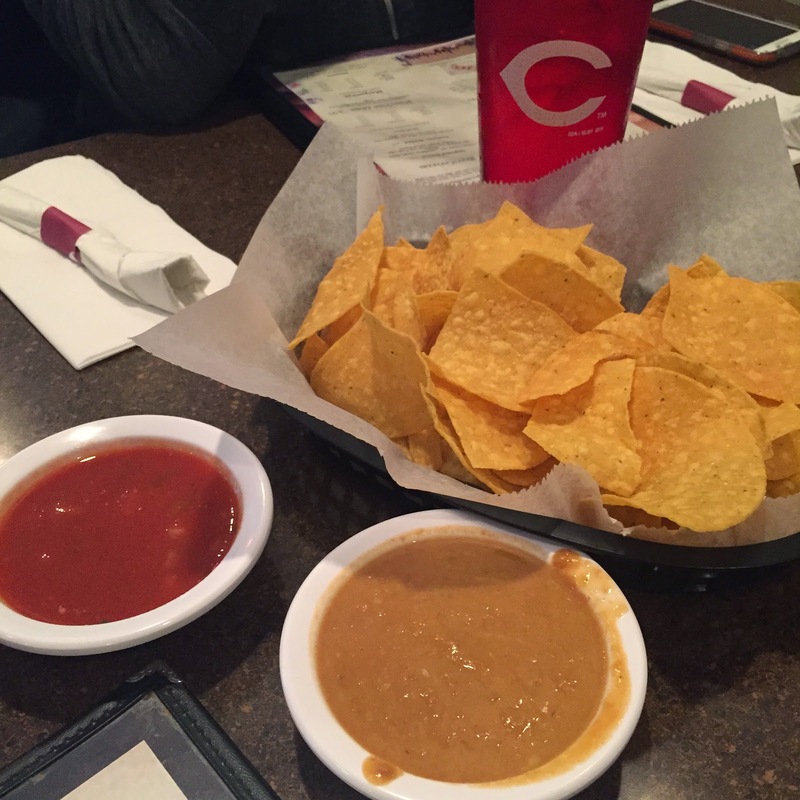 We started with chips & salsa - as is the case at every Cincinnati Mexican restaurant. To my surprise we also got bean dip and I'm glad we did. This stuff is awesome. No salsa for me - I just killed the bean dip. 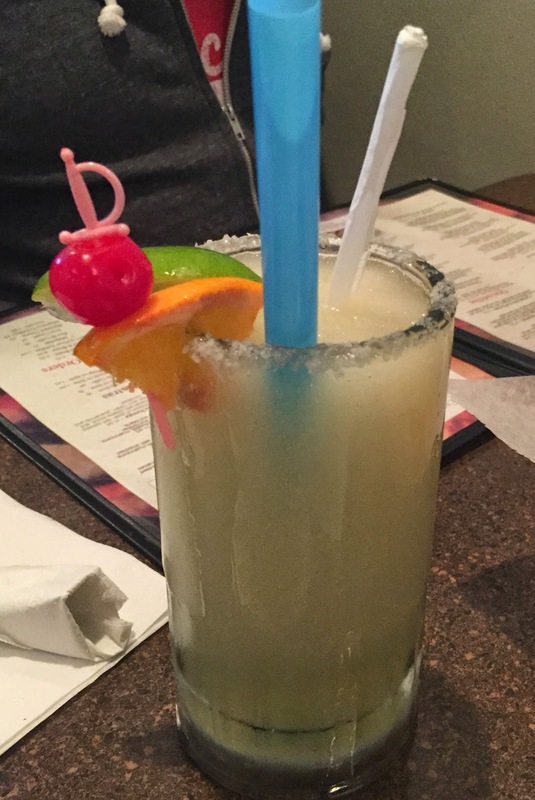 Margaritas were a must-have - and don't they look fun?! Fruit and a big huge blue straw - how can you go wrong? Sapan went for a wild choice - the Chori Burrito - and I have to say - we were JEALOUS. 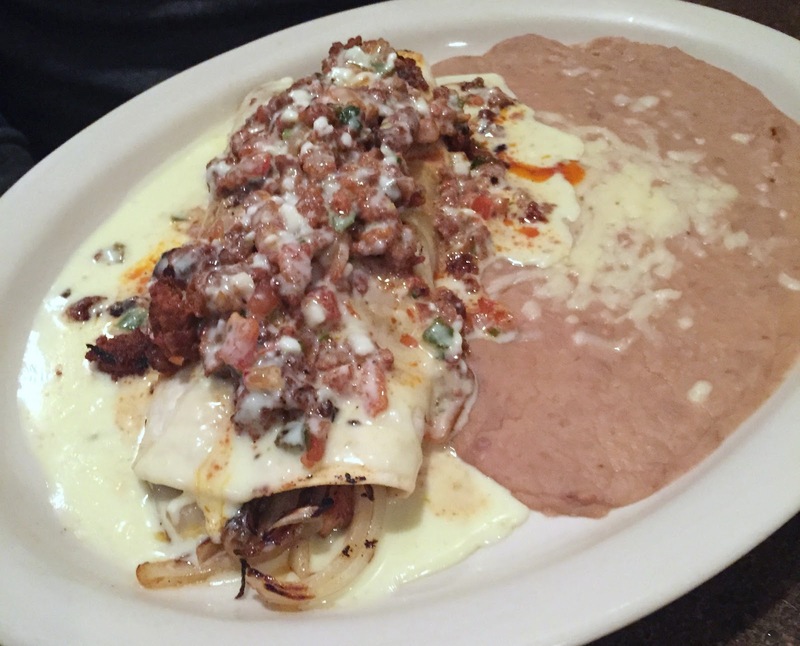 This burrito is stuffed with steak and grilled onions - then covered with cheese sauce, chorizo and pico. He let me have a bite and wow - it was delicious! I had just had something with chorizo at Mazunte and it was so delicious - I'm now a fan. 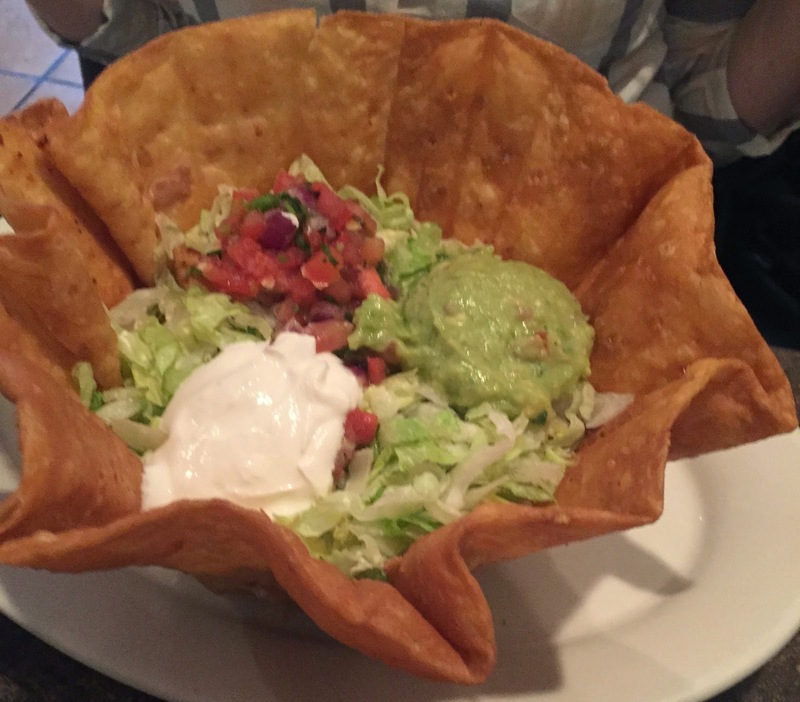 Kelly got a taco salad - it looked pretty ordinary and after she tasted Sapan's - she was a little jealous too! I was in the mood for seafood and got the Enchiladas Camaron (Shrimp). I knew as soon as I'd ordered that I should have gotten cheese sauce instead of red sauce. I'm just not a fan - this was covered in salsa poblano, sour cream and avocado. 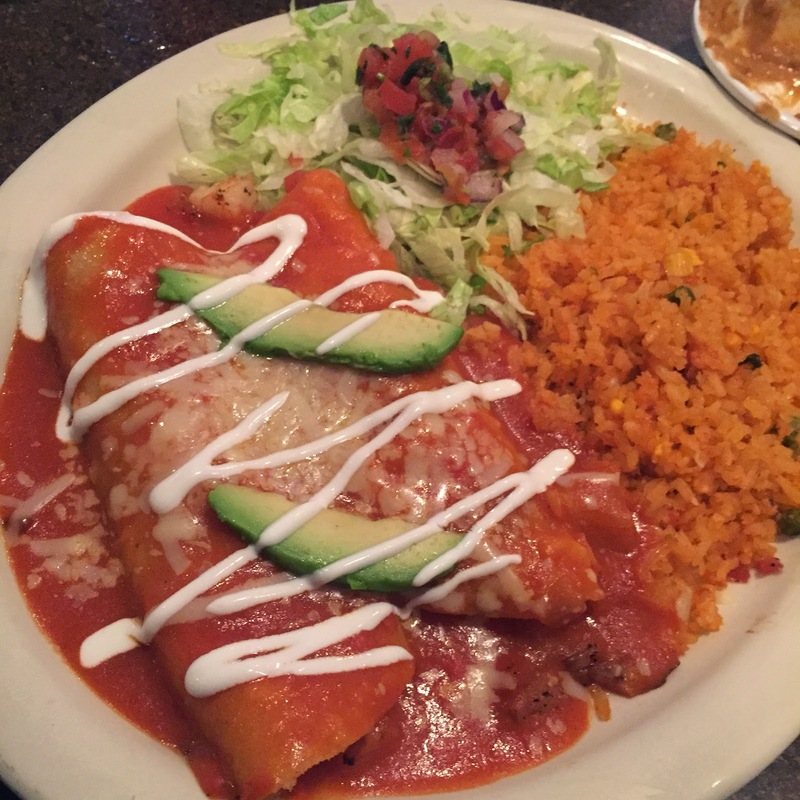 It was fine - fairly light - which is good - so many times Mexican is super-heavy (Like that Chori-Burrito!). 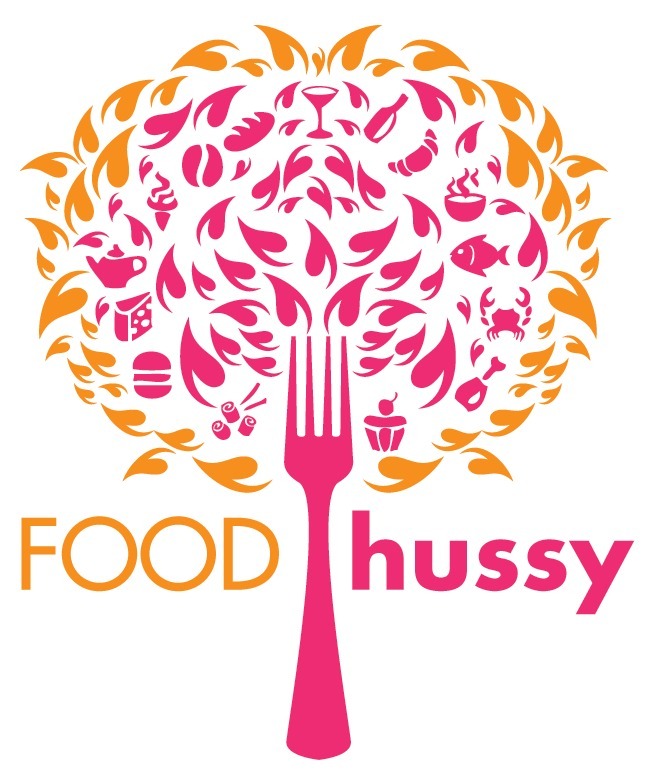 The shrimp was good - didn't love the rice - pretty bland and a little overcooked. Why Should You Go? I don't think it was anything special to go out of the way for - but if you're in the area - it's a good option. The bean dip and the Chori Burrito were the highlights for sure.